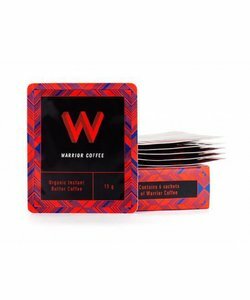 Want to buy Warrior Coffee? Warrior Coffee was founded in 2014 by Riku Uski in Finland with the purpose of improving the coffee culture in the workplace. Warrior Coffee focuses on making pure products that do not only taste good, but also make daily life easier and more enjoyable. In order to do so, great emphasis is placed on obtaining high-quality products. 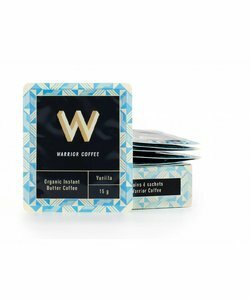 Coffee produced by Warrior Coffee is therefore even suited for people with a very sensitive stomach. Warrior Coffee has it's own certified organic coffee roastery at its disposal, directly supplied with raw green coffee by local farmers. At the roastery, the coffee is roasted by hand and supervised by a true professional in order to comply with Warrior Coffee's strict quality controls. The instant butter coffee products, made with Warrior Coffee beans, extra virgin coconut oil, and clarified butter. The instant butter coffee, available in two flavors, comes in a useful, small, disposable container.